Built from the late-Middle Ages onwards, these porticoes are synonymous with Bologna, offering shelter for pedestrians on the ground level and additional housing space on the upper levels. Wherever you go in Bologna, it’s a treat to walk under these elegant arches. Some of the best examples can be found along Via Marsala (especially the historic porticoes at Palazzo Grassi), Strada Maggiore (Isolani House) and Via Farini (the examples around Piazza Cavour feature striking frescoes on the ceilings). There are 60+kms of porticoes in Bologna. Emilia Romagna is a culinary paradise (as you’ll soon discover)! So, it’s the perfect place to brush up on your Italian cooking skills. One cooking course I can recommend is Le Sfogline in Bologna (7B Via Belvedere; tel. : 051 22 05 58), opposite the Mercato delle Erbe (market), where Renata and her two daughters will teach you the finer points of making fresh pasta. 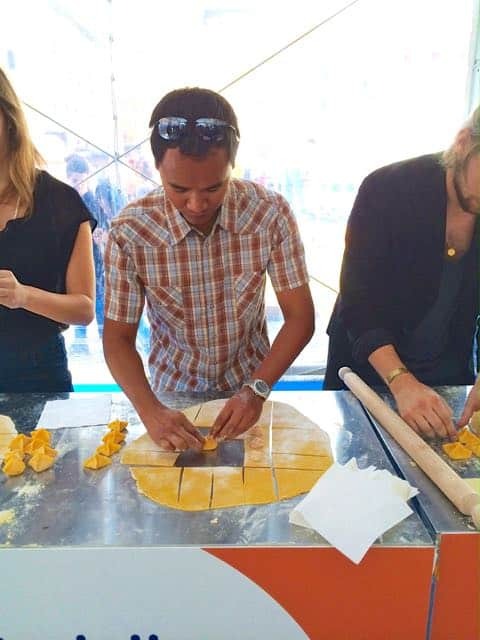 Search for cooking classes in Bologna. Your’s truly making mortadella pasta! Emilia Romagna is home to the world-famous Motor Valley where automotive fans can visit the likes of Ferrari, Lamborghini, Maserati and Ducati. 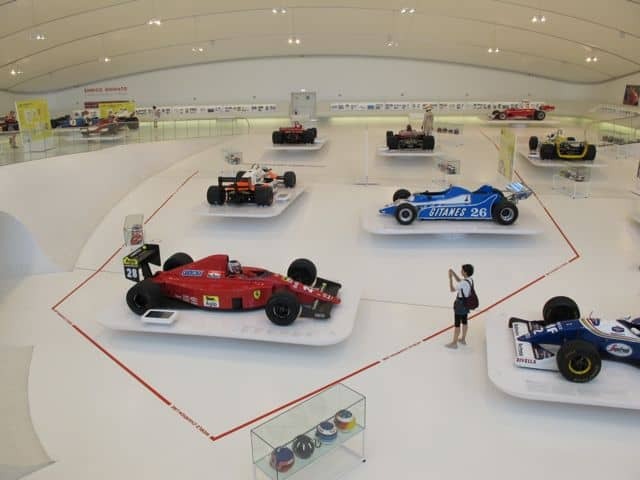 Visit the Casa Enzo Ferrari Museum, with its stunning collection of cars, in Modena. If you can’t get enough, head for the Ferrari Museum in Maranello. Read more about my experiences in the Motor Valley. Book a day tour of the Motor Valley. The stunning Enzo Ferrari Museum in Modena. Ravenna, a historic town near the Adriatic coast, boasts no less than 8 UNESCO World Heritage Sites! Don’t miss the awe-inspiring Basilica di San Vitale and the adjacent Mausoleo di Galla Placidia for its incredible mosaics! 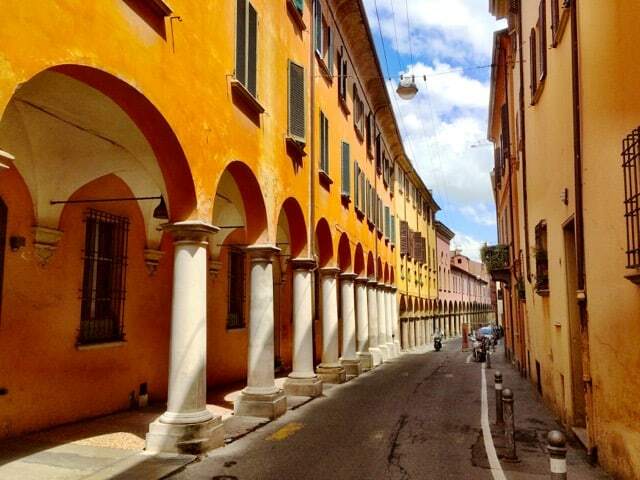 Read more about what to see in Ravenna. Search for tours in Ravenna. 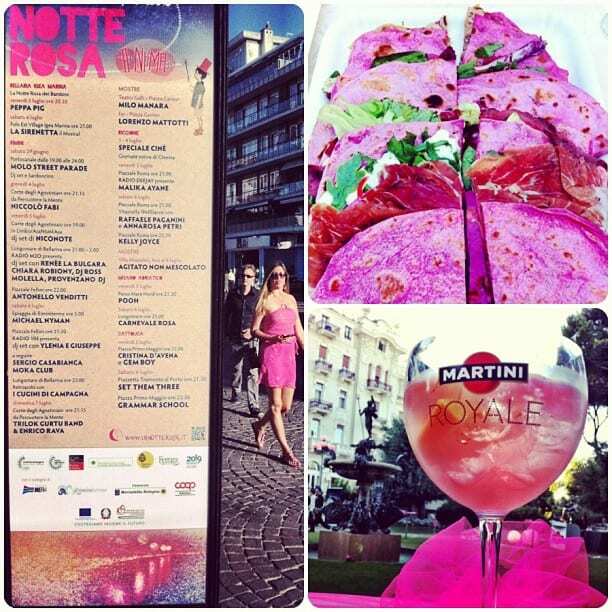 Join the fun at La Notte Rosa, the Pink Night festival, in Rimini! Everyone wears something pink, and food and cocktails are pink! At midnight, head for the beach and watch the spectacular fireworks show that lights up 110km of the sky above the coast! Modena is famous for its extraordinary balsamic vinegar. 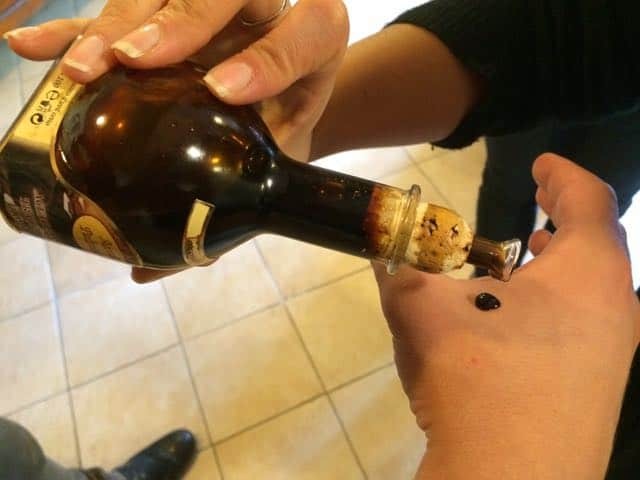 Traditional balsamico di Modena is very expensive (prices start at EUR 45 for a 100ml bottle) due, amongst others, to the time it takes to produce it – the minimum aging period is 12 years. In the past, families in the region would celebrate the birth of a baby by setting aside a barrel to age, which would then be used as a dowry. At today’s prices, a barrel of traditional balsamico di Modena would be more than sufficient to cover a child’s education right through university! Don’t miss a visit to a balsamico producer such as Acetaia Paltrinieri. Tasting traditional Balsamico di Modena. Parmigiano Reggiano is often heralded as the ‘King of Cheeses’. 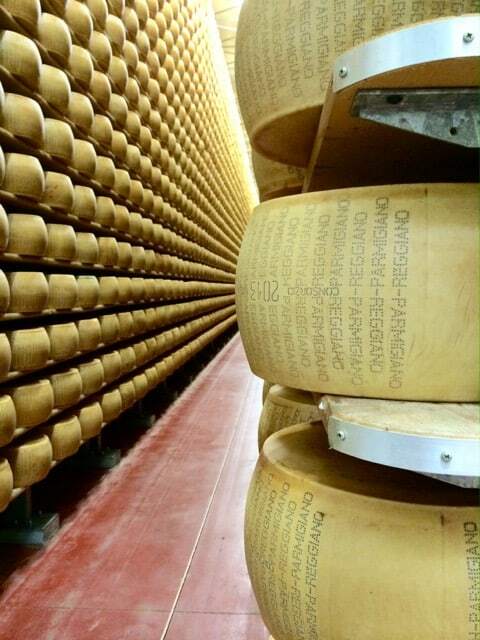 Visit one of the Parmigiano Reggiano producers to see how this cheese is made and stored. One producer I visited was 4 Madonne Caseificio dell’Emilia near Modena, one of the most prominent producers of Parmigiano Reggiano in the region. The tour lasts about 45 minutes and you can follow each step of the production process – the highlight of which is the massive storage facility! I recommend visiting in the mornings when the cheese-makers are at work. The tour concludes with a fabulous cheese-tasting of course! Book a full-day Modena food and Ferrari tour from Bologna. Parmigiano Reggiano for as far as the eye can see at 4 Madonne Caseificio dell’Emilia, one of the most prominent producers of Parmigiano Reggiano in the region. Dozza is a little hilltop town near Bologna. The village is best known for its annual Wine Festival and its Biennial Exhibition of the Painted Wall (Muro Dipinto) in September, when artists from Italy and around the world are invited to decorate the village’s walls with colourful murals, in effect transforming the village into an open-air museum. It truly is an enchanting experience to stroll around to admire the murals of Dozza, each in a different style and colour scheme. The colourful village square of Dozza in Italy. If you’re a fan of classic American and Italian movies, check out the Cinema Ritrovato Festival in Bologna. It takes place every summer in Piazza Maggiore, the city’s most famous square, and it’s free. Grab a seat and enjoy a classic movie with the locals! 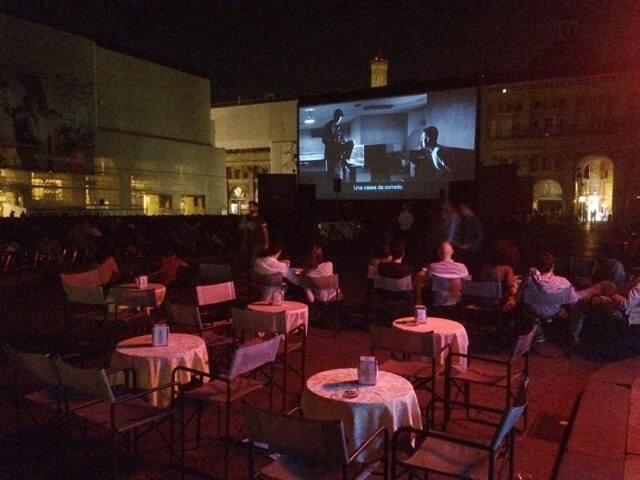 The Cinema Ritrovato Festival takes place every summer in Piazza Maggiore and it’s free. Grab a seat and enjoy a classic movie! It’s arguably one of the most stunning theaters I’ve ever seen: the Teatro Municipale in Reggio Emilia. It’s a treat to watch a performance there or simply join a tour of the theater. Stroll along canals designed by Leonardo da Vinci! 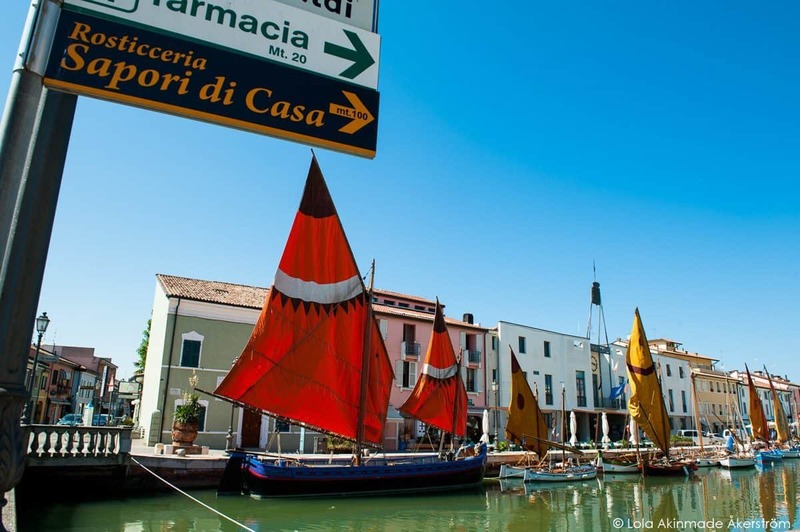 The ancient port town of Cesenatico has canals which were designed by Leonardo da Vinci! The town is also home to a fascinating Maritime Museum as well as colourful sailboats in the harbour. Cesenatico (image courtesy of Lola Akinmade). 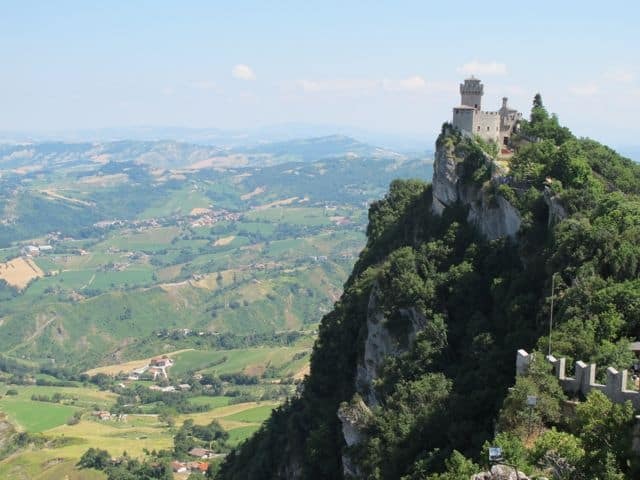 Technically, San Marino isn’t a part of Emilia Romagna – it’s a sovereign country, in fact the world’s oldest republic and one of the smallest countries in the world. Many people visit San Marino as a day trip from Rimini and to collect a unique passport stamp (don’t forget to bring your passport!) but this little country has lots to offer such as a fascinating history, fabulous food, spectacular panoramas and gorgeous nature walks. Read about my trip to San Marino. Bologna has an international airport with frequent daily flights to major cities in Europe and the Middle East. Bologna is also one of the most important rail hubs in Italy, with high-speed connections to Milan, Florence, Venice and Rome. I know what you mean. You have to be very selective and not try to cram everything into one trip. 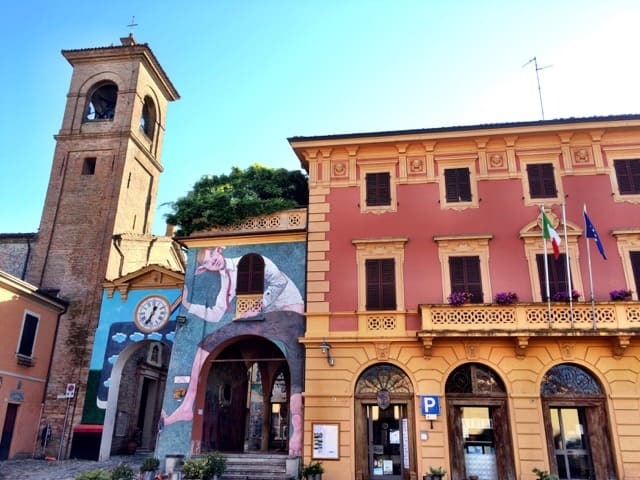 If you’ve already seen the major sights like Rome, Florence, Venice, etc… Emilia Romagna is a great place to explore next. I always tell people heading to Florence or Venice that they can drop by in Emilia Romagna as well as Bologna is less than an hour by high-speed train away. It just adds a range of different experiences in places a bit off the beaten path. Lots to do in that part of Italy … planning a trip to that country is hard, as it is so difficult to know where to go first!